Durban – Ace paddler Matt Bouman fought off an infestation of blue bottles to win the forth leg of the Varsity College Marine Surf Ski Series whilst maintaining his position as series leader. Overcast and windy conditions at the race start on uShaka Beach looked ominous with the shoreline bursting with blue bottles common in hot Summer conditions. Many paddlers elected to pull out of the race to watch from the shoreline as select paddlers took their chance in the waters. 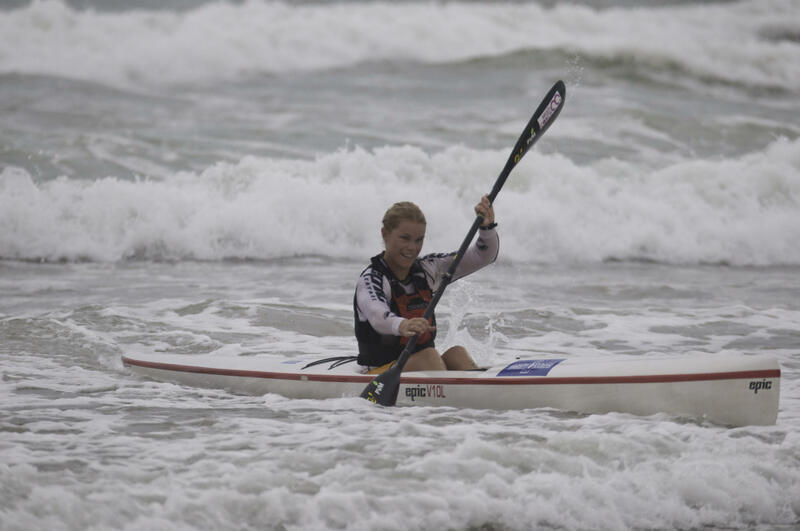 Race organiser Barry Lewin picked an excellent course which had paddlers going into the Easterly wind towards North beach and coming back downwind forming exciting lines to the finish at uShaka Beach. Bouman and Grant van der Walt set off together through the tricky shorebreak on uShaka beach and followed by Bouman taking a two boat lead early on. Bouman continued to extend his lead throughout the race finishing a full two minutes ahead of Van der Walt who claimed second position. 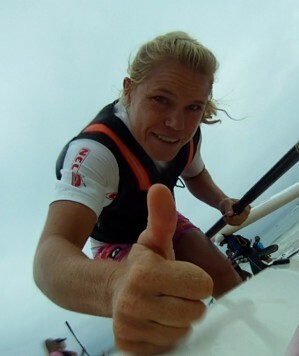 Visiting paddling star Mich�lle Eray made a guest appearance taking a break from her position assisting the Eastern Cape Canoe Union as their elite sprint squad coach, managed to claim the title from series leader Michelle Eder. Eray had a bad start, but managed to get ahead of Eder mid-way through the first lap. In the doubles race Adam and Luke Nisbet came in on top, with Brain Taylor and Grant Woolaston coming in second place mere seconds behind. Stuart Carter took home the title for the short singles course, followed by Andrew Atkinson in second place. The fifth race of the Varsity College Marine Surf Ski Series takes place next Friday evening 19 February at 5:30 from Ushaka Beach.